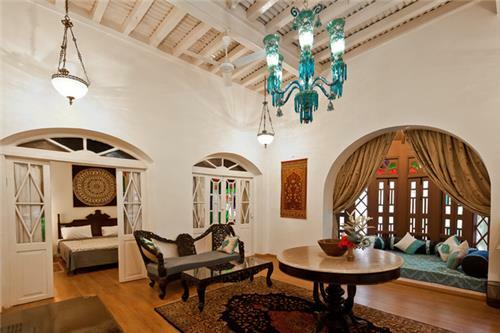 This heritage property is more than one and half century old and consists of 8 rooms. Located at Kadri Marg in Ahmedabad City, guests enjoy maximum pleasure and comfort here at this heritage hotel, Divan’s Bungalow. All five suites and three rooms of this heritage hotel are designed beautifully. The architecture of this bungalow was inspired by the British style. Right now, the hotel is managed by Neemrana Group of Hotels. The suites of this hotel are named as Munir Khana, Zia Khana and Siraj Khana, Salahuddin Khana and Iftikhar Khana. The rooms are named as Tariq Khana, Zubeida Khana and Zahir Khana. Each room of this hotel has a balcony and an attached toilet. Both vegetarian and non-vegetarian foods are offered at the restaurant of this hotel. Special dishes can be ordered by the guests staying at this hotel. The hotel is located about 10 KM away from the airport. Located at the center of Ahmedabad City, The House of Mangaldas Girdhardas,a boutique hotel, is a place to enjoy some of the most cherished moments of life. This hotel is very close to the shopping area and the center of the city and is an ideal venue for family holiday, business meetings and honeymoon trips. This hotel was the residence of Magaldas Girdhardas, famous textile industrialist of the city. The residence was built during the early years of 20th Century. During the middle of 20th, the family of the industrialist moved to a different place and this place got converted into a heritage hotel. The hotel has 12 rooms in total which are suites and deluxe rooms. All rooms have attached bathrooms having the facilities of cold and hot water, electronic safe, refrigerator, telephone, and internet. The room size ranges from 400 square feet to 800 square feet. Library, Mini Bar, DVD/VCD, currency exchange, doctor on call, and free airport pickup facilities are offered by the management of this heritage hotel. This hotel is located at a distance of 7 KM from the airport and 2 KM away from the station. The two restaurants of this heritage hotel are The Green House and Agashiye. The Green House offers coffee, small meals, Indian Desserts, different types of South Indian and Gujarati Snacks and hand-made ice-creams. Indoor and outdoor seating arrangements are there for the guests. A health club and indoor swimming pool are also there for the guests. 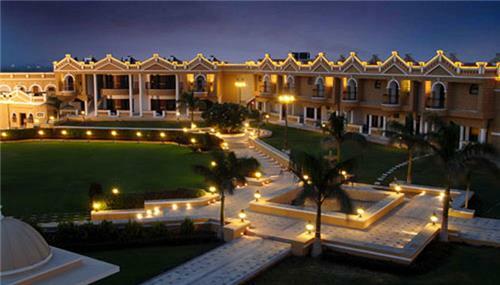 Vijay Vilas Heritage Resort of Mandvi is one of the major attractions of the city. The hotel has 18 rooms and each one of them offers elegant accommodation with the touch of ancient days. The interiors of this heritage hotel still bear the marks of past era. 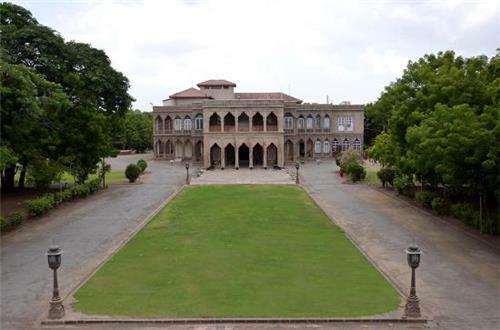 The palace was built during the rule of Maharao Sri Khengarji, the ruler of Kutch Area. The palace, which was built in 1920, was built for Sri Vijararaji , son of Khengarji, as his summer retreat. The palace has many beautifully decorated gardens and fountains. The entire palace is beautifully built with colored glasses, murals, and jail work. The accommodation types are rooms, suites and AC Swiss Tents. The dining area of Vijay Vilas Heritage Hotel is the Café Palace Restaurant that offers cuisines from all around the world. Room service is also available. Private beach, bonfire and barbecue are there for entertainment. Facilities available are doctor on call, internet, laundry pickup and delivery, ample parking place, 24x7 room service, car rental, travel desk and business center. Known for its world class service and traditional Gujarat hospitality, staying is blessing in this heritage hotel of Jamnagar in Gujarat. The hotel has got 30 rooms and the building depicts the architectural style of the Victorian Era. Major part of this building is constructed with Burma Wood and you get to see some of the finest wood carvings here. The hotel has got conference halls, restaurants and different types of rooms and suites. The two types of suites are Imperial and Executive suites. The rooms are AC Standard, AC Deluxe, Super Deluxe and Royal Executive rooms. The other facilities available at this hotel are Wi-Fi, Doctor on Call, 24x7 generator service, in-house laundry service, airport pickup/drop facilities and taxi services. There is also a gym for the health freaks. Located at Chirasani Village in Banaskantha District off the National Highway 14 connecting Mount Abu and Palanpur, this palace resort used to be resting and hunting place for the Lohani Rulers. The palace was built in the period 1920 – 1930 when H.H. Nawab Saheb Sir Taley Muhammad Khan Lohni was the ruler. The hotel has got twelve Platinum Rooms, four Gold Rooms and one Nawabi Suite. All these rooms have attached bathrooms, antique furniture, Television, Refrigerator, Fireplace and Telephone. The restaurant of Balaram Palace Resort offers sumptuous food from all corners of the world. There is a well-equipped conference hall with different types of audio-visual aids. The facilities and amenities offered at this hotel are the Royal Swimming Pool, indoor games room, banquet facility on the terrace, fitness center, and travel assistance desk and currency exchange counter. Camps and trekking programs can be arranged here in this heritage hotel. Open air parties and seminars can also be arranged. Guests can also enjoy tribal dances of Gujarat in this heritage hotel of Chitrasani. Located at a distance of 89 KM from Bhavnagar City of Gujarat, this heritage hotel lies in between Diu and Bhavnagar. Located in the close proximity of important tourist sites of Bhavnagar especially the Jain Temples, visitors get to enjoy the most comfortable stay at this Colonial Building with excellent interiors and warm and friendly people. The Gopnath Beach is also located very near to this hotel. This heritage hotel is a preferred accommodation for regular tourists and also for the business people. The total numbers of rooms in this hotel are 12. All the rooms of this bungalow are sea-viewing though only 4 of these rooms are operational right now. The best part of this heritage hotel is its affordable room tariff. This bungalow has the facility of home-made meals that are arranged by the caretaker of the bungalow. The bungalow has a conference hall for the business meetings. Other facilities are cyber café, currency exchange counter, doctor on call, dry cleaning and laundry etc. 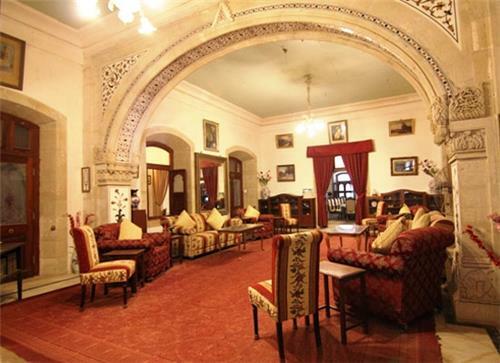 Located at Surendranagar District of Gujarat, Rajmahal Hotel Wadhwan is a heritage hotel with 12 rooms. Staying here will compel you to redefine leisure holiday. 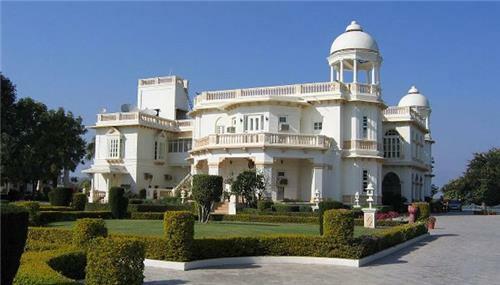 Spread over an area of 14 acres, the palace is known for its friendly people and splendid hospitality. The hotel has a garden restaurant where guests get all types of Gujarati dishes. Facilities of this heritage hotel are nature walk, swimming pool, doctor on call, safety lockers, dry cleaning and laundry, parking area, beauty parlor and 24x7 currency exchange counter. 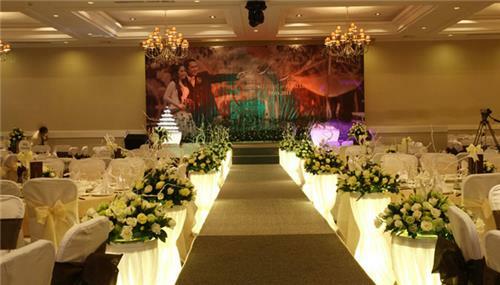 This is a perfect place to enjoy the Royal elegance and splendor. This heritage hotel has 18 rooms out of which 11 double-bedded rooms are available at Riverside Palace and 7 double-bedded rooms are available at Orchard Palace. 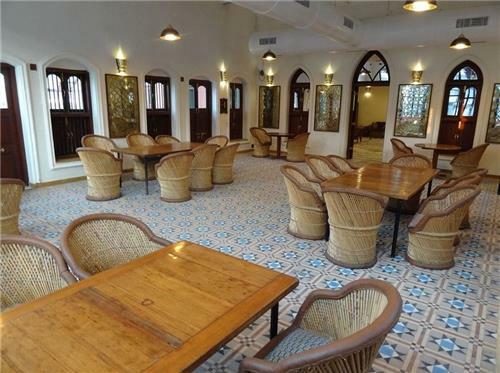 All the rooms are decorated with furniture of Colonial Period like old dressers, carved tables and others. The bathrooms are huge and interiors still carry the looks and feel of yesteryears. The restaurant offers all types of Indian and Western foods. Local delicacies are also offered to the guest at the restaurant. The facilities offered are doctor on call, cyber café, currency exchange counter, laundry/ dry cleaning service, television in each room, telephone with ISD/STD facilities and others. This hotel was the residential place for the members of His Highness Maharana Vikramsinhji, the ruler of Jambughoda. Now the royal residential place got transformed into a heritage hotel comprising of 20 rooms which include suites and rooms both. The huge bathrooms and elegant furnishing of the rooms depict the past royal glory. The hotel has a huge dining house where guest feel at home. All types of Indian and Continental dishes are served at the kitchen using the vegetables and fruits from the farm house of the palace. During winters, guests can enjoy camp fire dinners. Other facilities available here are car parking, conference hall, telephone, laundry pickup and delivery, doctor on call and on request airport pickup and drop facilities. Different types of entertainment activities like sightseeing, jeep safari, indoor games, massage and splash pools are also available. Nilambgh Palace was constructed by Sir Takhat Singh as a residential place. The palace was designed and constructed by Mr. Simson, a German Architect. Even after getting converted into a heritage hotel, this palace bears the charms and elegance of royal era. Along with the past glory, this palace offers all means of modern luxury. Nilambagh Palace Hotel comprises of 26 double bedrooms. All the rooms are decorated with antique furniture and classic upholstery. Attached bathroom with hot and cold water, intercoms, tea/coffee maker and 24x7 room services are the added facilities given to the guests of this heritage hotel. This heritage hotel houses two restaurants offering Indian, Chinese and Continental Cuisines. Both veg and non-veg items are available in this palace hotel. For business travelers, this palace hotel has 2 conference rooms and a banquet. Other amenities one could get here are swimming pool, health club, tennis court, table tennis, safe deposit, shopping arcade, travel desk and currency exchange facility. Rajwant Palace is an elegant palace built in European style with domes, Venetian doors, columns and Gothic arches. Guests are sure to feel very special the moment they step into this hotel. The ceramic and glass work, vintage interiors and classic furnishing mesmerize each one who comes here. This palace turned heritage hotel houses 18 spacious rooms with all types of modern facilities. Rajwant Palace Resort has two restaurant named Raj Aaiana and Rajsheesha where cuisines from all around the world gets served. Guests can enjoy dining at the poolside or in the beautiful lawn of this resort. 24x7 room service, currency exchange, travel help, doctor on call and Light and Sound Shows are the added amenities guests could enjoy at this Palace Resort of Rajpipla. 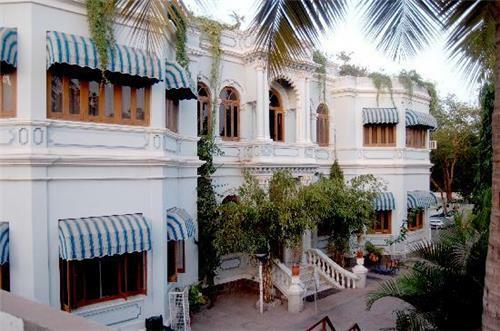 Other heritage hotels in the Gujarat State are Heritage Khirasara Palace Rajkot, Darbargadh at Poshina Sabarkantha, Bhavani Villa at Danta Bhavangadh, Garden Palace Hotel Balasinor, Sarita Mandvi Mahal at Juna Mandwa, Chandod, Utelia Palace at Utelia Ahmedabad, Bell Guest House on National Highway No. 8 at Surendranagar, Kusum Vilas Palace Chotta Udaipur Vadodara, Royal Oasis at Wankaner and Natwar Niwas Palace at Rajpipla Bharuch. If you want to enjoy the most luxurious and royal stay in different cities of Gujarat, you better book rooms or suites in various heritage hotels of Gujarat that will take you through a journey of past along with all modern facilities and amenities of city life. can you please suggest me how can i reach gopnath bungalow in bhavnagar? Hi, Please look into our section of Gopnath Bunglow in the above article. All the details are mentioned above.